Word for Today: Be careful with your words. Word for Today:Be careful with your words. 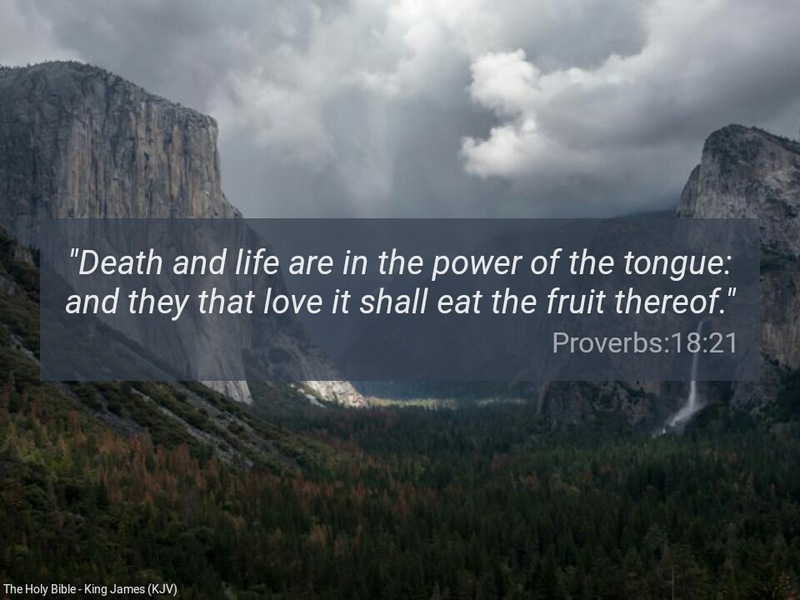 “Death and life are in the power of the tongue: and they that love it shall eat the fruit thereof” ( Proverbs 18:21). In many places in the bible, the word of God in Christ Jesus admonishes us to be sensitive to our thoughts and words. A number of Christians, do not pay attention to their thoughts and words . The words we speak basically are the product of our thoughts. What we focus our minds on for a long time, we tend to believe . I often tell my colleagues that when I listen to a person speaks for 30 minutes, I should have an idea of the type of person he/she is; I should have an idea of the nature of the challenges he/she is having and why the challenges started in the first place. “…for out of the abundance of the heart the mouth speaketh” ( Matthew 12:34). Dear Father, please give every sincere reader of this message the grace to be careful with his or her thoughts and words in Jesus mighty name. Amen. Previous Previous post: Word for Today: Be conscious of your glorious oneness with God in Christ. Next Next post: Word for Today: If your enemy is hungry give him food!